The AKBC has been redesigned for 2017! 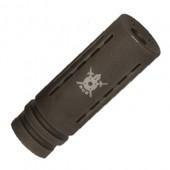 The AKBC is smaller and even more practical for the 7.62×39 cartridge. 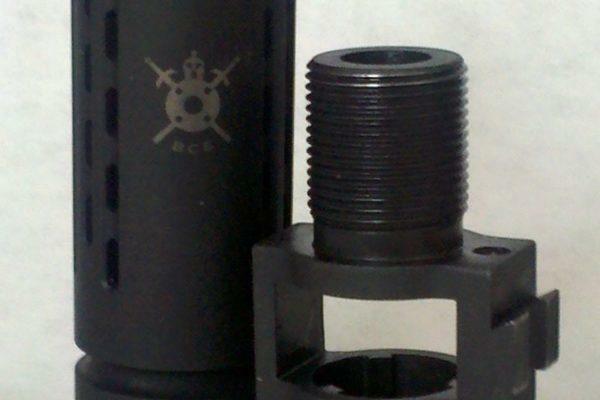 The AKBC has a slot for the AK detent pin, and comes in 14×1 LH thread with two wave washers. 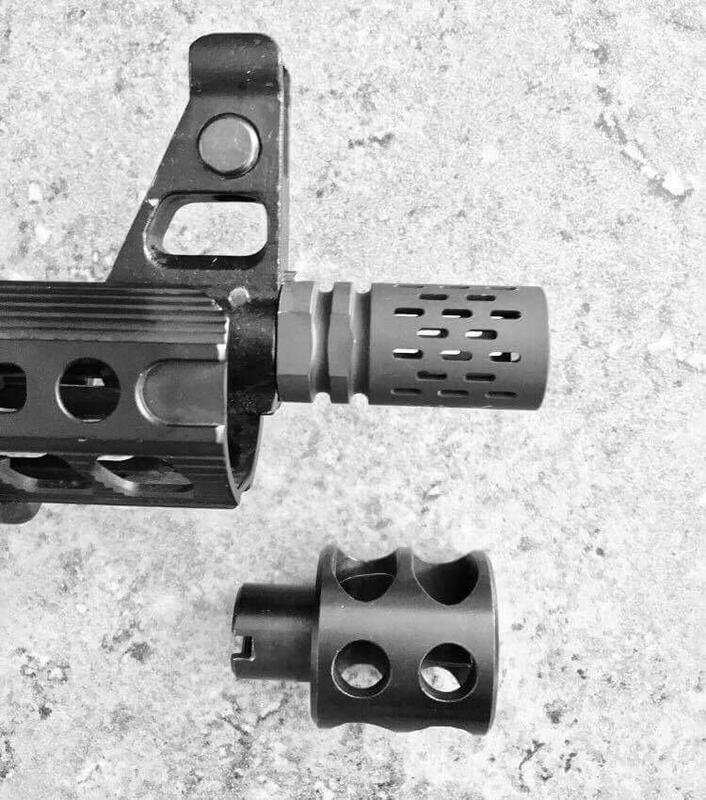 The NEW AKBC is smaller and even more practical for the 7.62×39 cartridge. 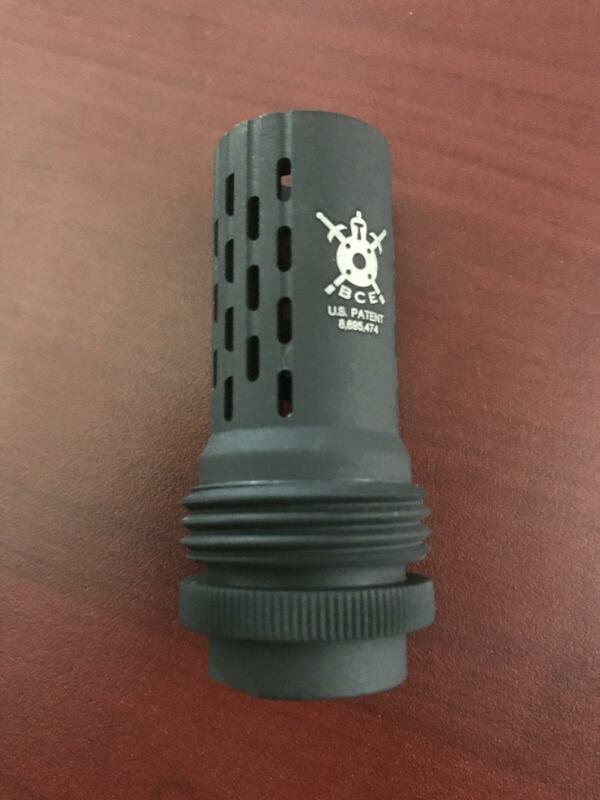 Made of stainless steel and CNC-precision milled, the AKBC has a small slot for the AK (and variants) detent pin, and comes in 14×1 LH thread with two wave washers. Installed this on my old Romanian SAR-1 (had it threaded prior for a slant comp). I didn’t use the wave washers and just ‘muscled’ it tight until it aligned. For better or worse…it’s good and snug. I originally tried to use the washers, but perhaps because my barrel is an after market thread job, the washers kept getting hung up on the plunger/detent pin and I couldn’t get things fully seated and have the pin reset (extend). It was close enough that I just ditched the washers and tightened until aligned. In addition to an ‘extra power’ recoil spring, noticeable difference in felt recoil (I swapped out the spring and comp at the same time). It’s still an AK….just a tad nicer. It’s a bit pricey when compared to other available 14×1 LH muzzle devices, but it works as you’d expect. Definitely recommend it if price is not an issue.